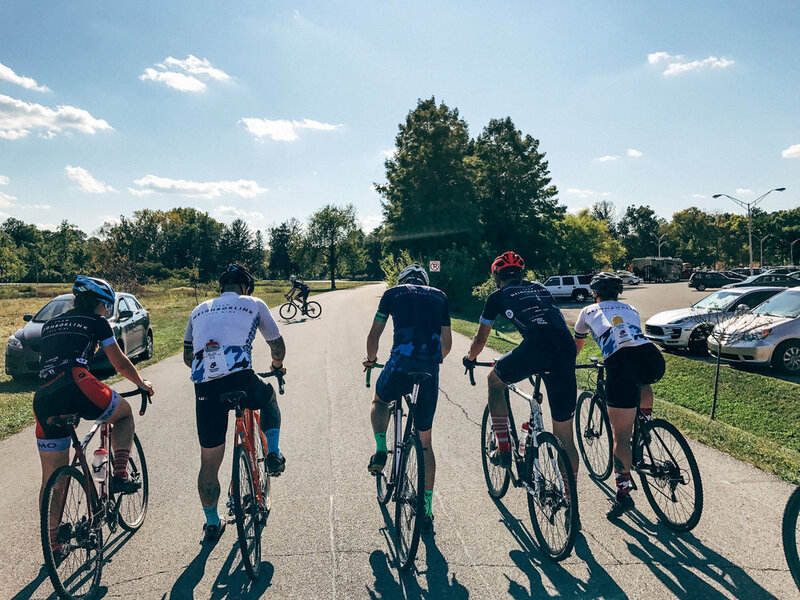 This past weekend, a dozen Team NeighborLink Cyclocross teammates gathered in Indianapolis for a mini-camp. 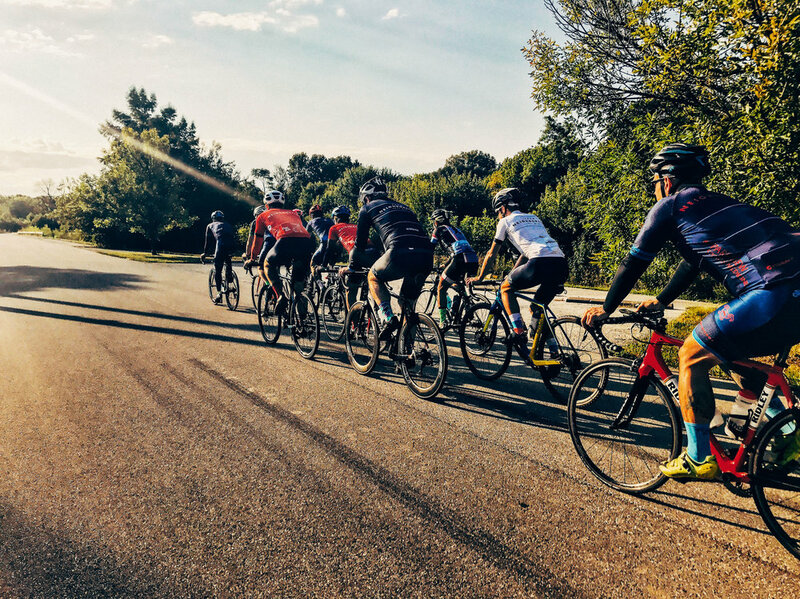 This gathering was more about getting to know each other, do some riding, brush up on our skills, and simply spend time together before the season kicks off in a week. 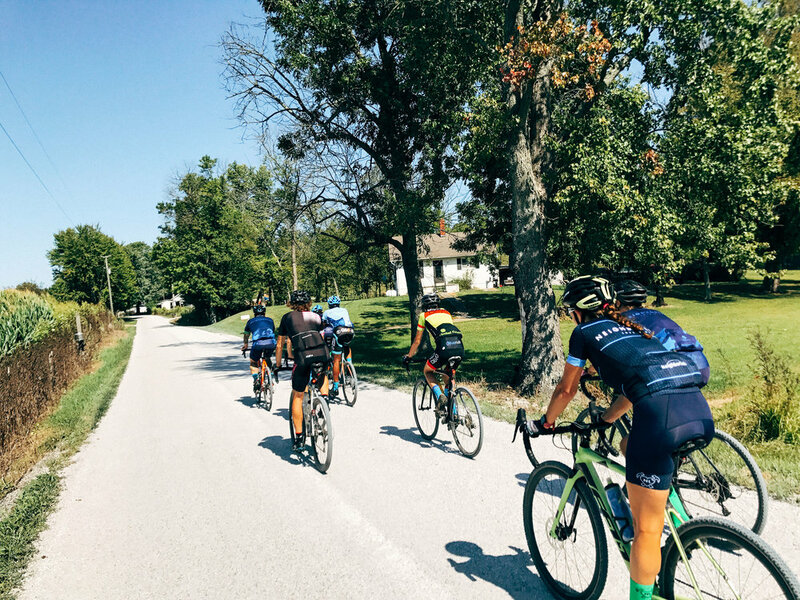 As busy adults, its hard to get quality time together and since we're a team that is made up of folks from Fort Wayne, Muncie, and Indianapolis, we wanted to prioritize a weekend without the pressure of racing. TNL has been doing cycling for the past 7 years, including a few that have done CX over the year. 2016 was our first formal adventure into CX as a team. We started with 6 people and a handful of sponsors. By the end of the season we grew to 12 riders racing in TNL colors. For 2017, we have over 20 athletes ranging from Cat 5 all the way up to Cat 1 along with a really solid team of 6 ladies. TNLCX should be the biggest team in the OVCX besides the juniors teams like Midwest Devo. 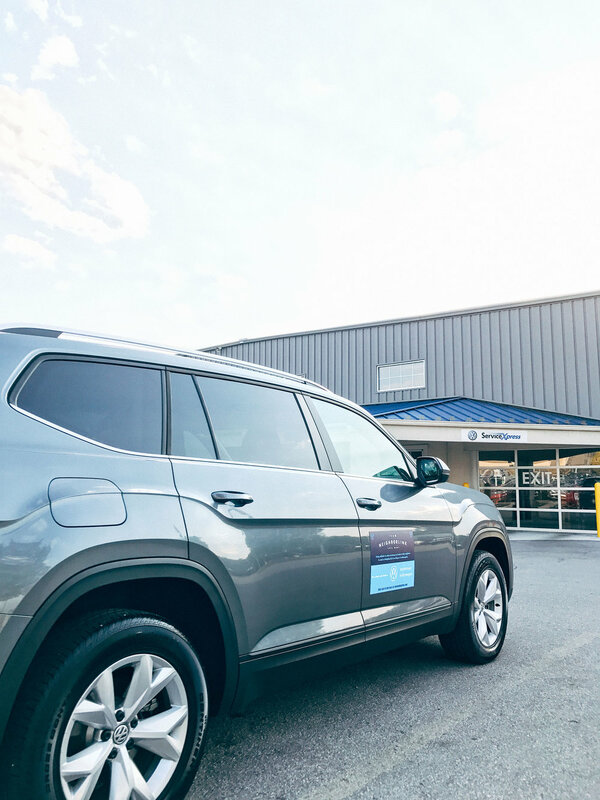 Our team's growth and interest is an incredible sight to see as we're relative newcomers to the CX scene. Spending the weekend together was everything we hoped it would be and more. 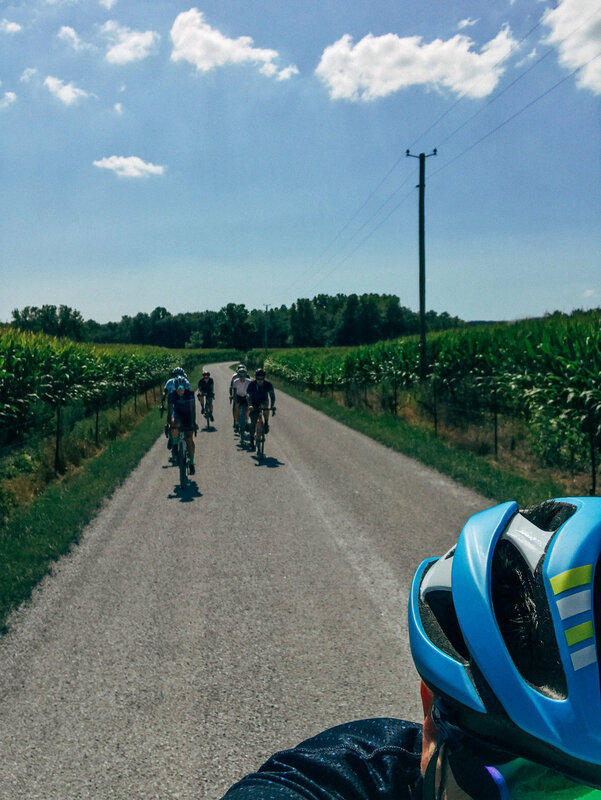 More than a few times I sat back and simply smiled by the thought that the dozen of us that could make it spent more time getting to know each other's lives rather than just bike stuff. We did a lot of that too, but it's refreshing to create a community dynamic and interesting people that just happen to be into racing bikes. That's what makes TNL thrive in our opinion. TNLCX, you make my heart swell with gratitude and joy. Thanks for allowing me to be a part of you all. Huge thanks to returning CX champ, Josh Johnson, for his leadership and organization of this camp's activities. 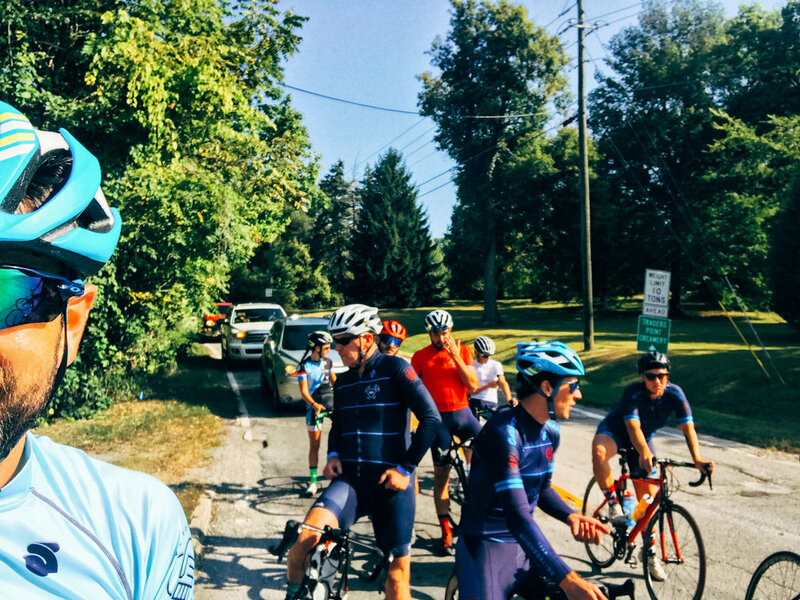 We started Saturday morning with a 40mi road ride around Indianapolis that had a good conversational pace with a few fun hill efforts. 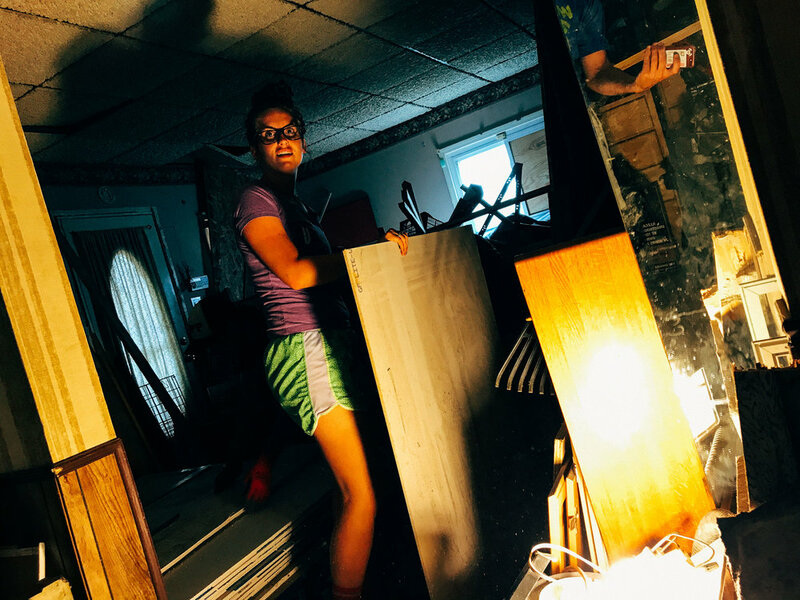 Josh then had the great idea to get us out on a NeighborLink Indianapolis project, which we ended up helping a gentleman who lost a leg a few years ago and had the wiring stolen out of his house. 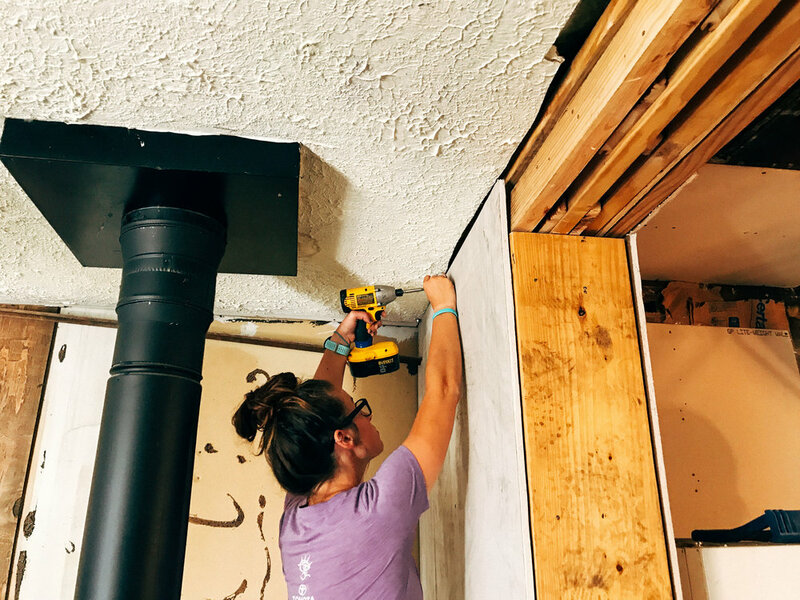 We did what we could to put up a little drywall and prep the walls for future NL Indy teams to continue helping him. More than anything, it gave us all a good reminded for why we do what we do as an organization. 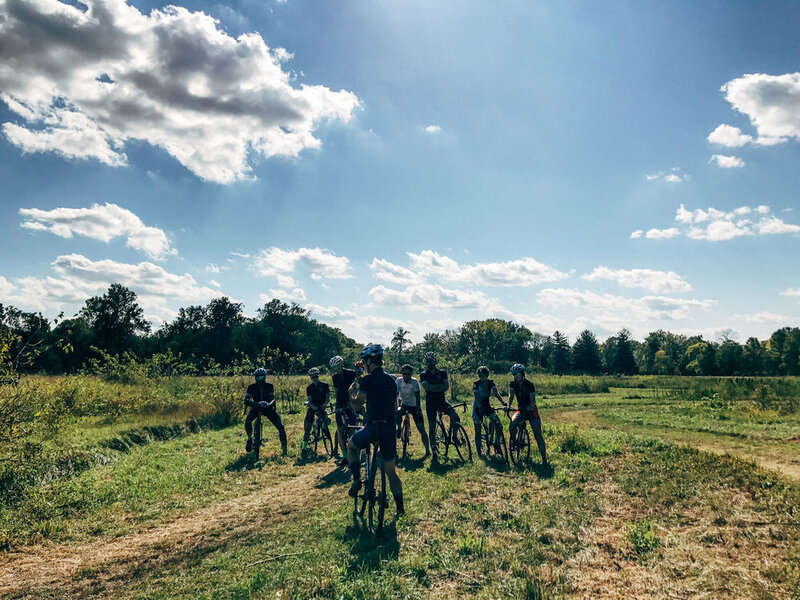 The day continued to the CX course at the Indy Cycloplex where Josh shared his wisdom in relationship to skills. We did some cornering, barrier practice, starts, and even tried some bunny hopping. We ended Saturday with a phenomenal dinner by our title sponsor, Midwest Center for Joint Replacement. Mike and Julie Berend opened their home, treated us to one of the best meals any of us have had in awhile, and made us all feel welcome in their home. A perfect ending to a fun day. Thank you for your support and generosity. Sunday had 7 us of travel down to the Conaway's cabin in the Hoosier National Forest. 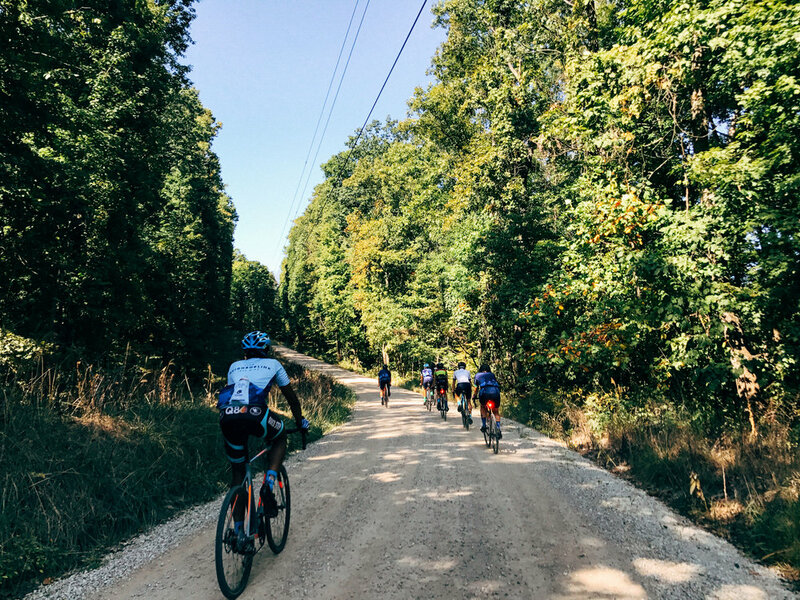 We wanted to have a fun day of gravel riding and Brett and Henry showed us plenty of gravel and steep climbs. Sore from Saturday, we labored up those hills and enjoyed every minute of it. The weather was fantastic and the wooded Conaway oasis led to a great lunch and more catching up on life. Thank you guys for hosting us and guiding us around your favorite roads. We are lucky to have such friends. 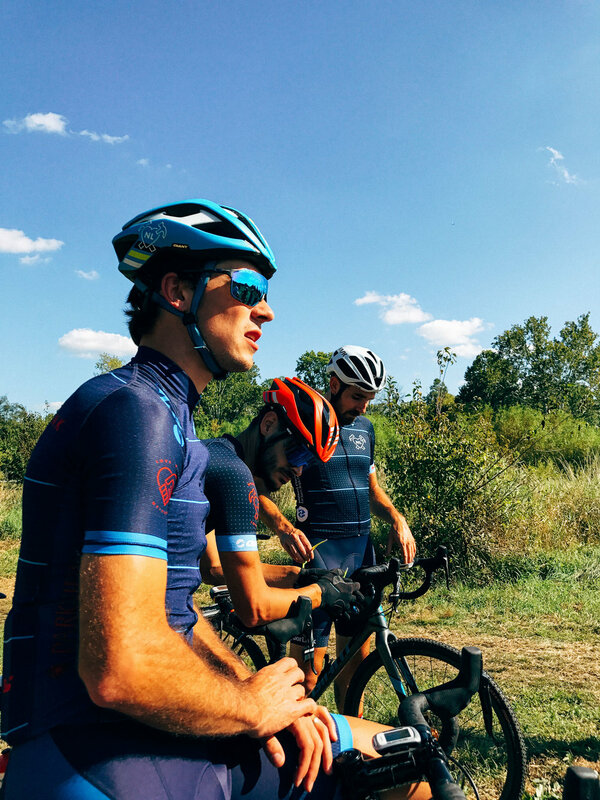 Racing begins next weekend at the OVCX kickoff race in Bloomington, IN. Almost the entire team will be present and we're looking forward to seeing how we shape up to the competition this year. 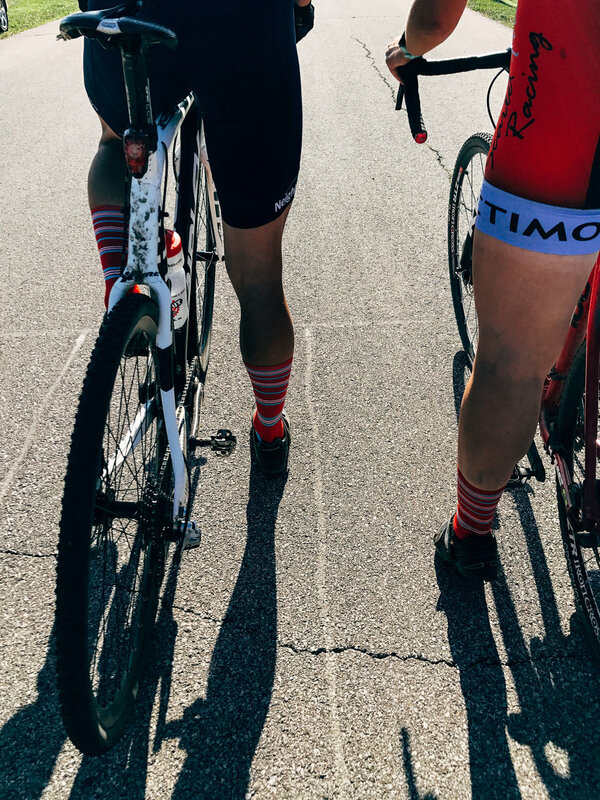 Most of all, we're excited to see friends and continue or efforts to bring some neighborly vibes to cyclocross and help neighbors in need while we do it.